Want an affordable tropical Fiji island getaway? 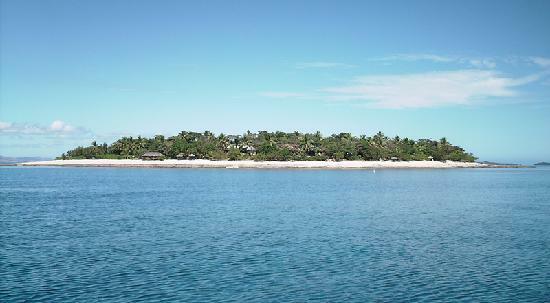 Discover Navini Island Resort in Fiji. Situated on it's own tiny island, it ensures privacy, seclusion, and relaxation. - Who does Navini suit? 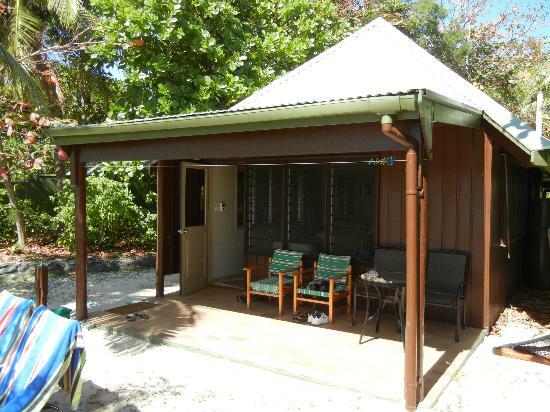 Those wanting an affordable intimate remote tropical island getaway in an eco-friendly environment. Not suited for those wanting big plush resorts with manicured lawns and half a dozen swimming pools. 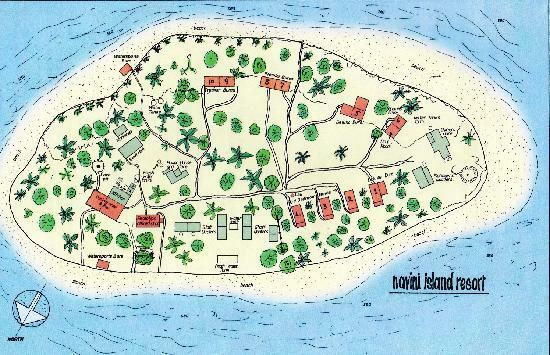 Tiny Navini Island is located in the Mamanuca group of islands around 15km from Nadi. It's a flat picture perfect tropical island. The island is miniature but there's so much gorgeous white sand. The stroll around the whole island will take you a lazy 10 minutes, 15 in 'Fiji time'! There is nothing else on the island, not even a village. The island is off limits to all but guests staying at it's intimate resort. No day trippers. Someone from Navini will be waiting for you when you disembark at Nadi Airport. Then you hop in a private vehicle for a 20-minute ride to Vuda Point Marina. There you board a private boat for a 30-minute trip to Navini Resort. (Airport) door to (bure) door is an hour. There are 10 comfortable bures all beachfront. 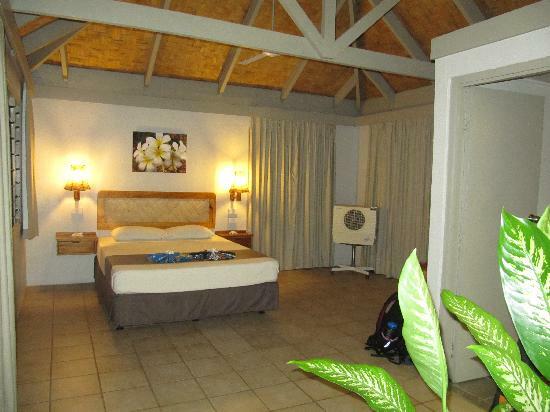 There are 2-room and 1-room options including a honeymoon bure. All but the Premiere Bure has a spa and can sleep 5. Each has a single bed to go along with a queen size bed. One thing to be wary of is that the bures have no air-conditioning, although most people are fine with the ceiling fan and coastal breezes. Meals are communal usually at one of the long tables in the dining complex. Meal plans are compulsory with 3-meal or 2-deal per day options. 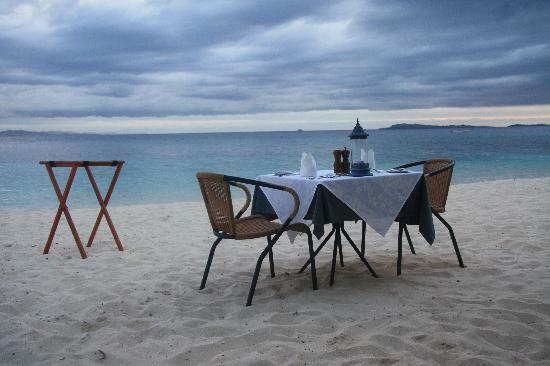 Beach dining and intimate couple dining can also be arranged. A licenced premises means cocktails, Fijian beer, and wines are available. 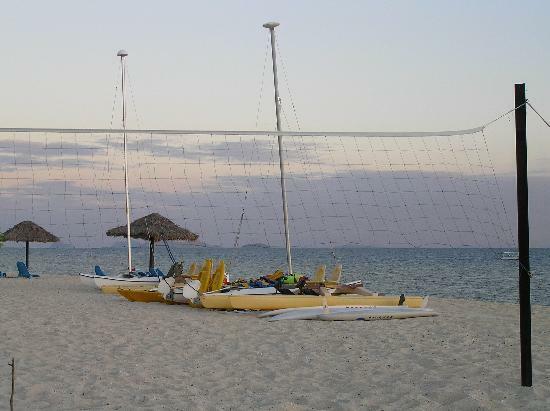 As per mid-range Fiji resort goes, non-motorised activities are complimentary. These include snorkelling, paddle boats, kayaks, and sail boats. Other activities include beach volleyball, village visits, fishing, island trips, and borrowing a book from the resort library. Paid activities include scuba diving, para-sailing, and sports fishing. One way transfers per adult is FJ$155. Meal plans per adult are FJ$120 for 3 meals per day, FJ$108 for 2 meals. 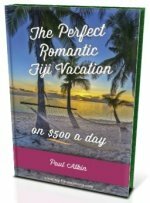 Visit their site at http://www.navinifiji.com.fj/.